For a second week straight, VENOM takes the top of the Box Office. Earning $31.7 million in its second week out for Sony Pictures, its tally to date is $138.8 million. 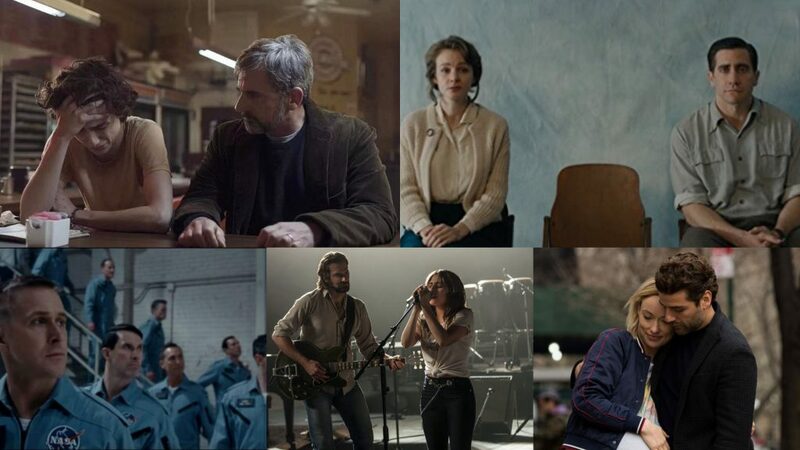 Repeating the order again this weekend, A STAR IS BORN settles for second with a strong $29.6 million, bringing its two-week run to $95.7 million for Warner Bros.
FIRST MAN, seen as an early Oscar Contender debuts in third with $16.8 million for Universal Pictures, from 3,640 theatres. This latest, a Neil Armstrong Biopic from Oscar-winning Director Damien Chazelle, gets a B+ CinemaScore and an 88% on the Tomatometer. GOOSEBUMPS 2: HAUNTED HALLOWEEN debuts in fourth with $15.7 million from 3,521 theatres, getting 43% on the Tomatometer and a B CinemaScore. 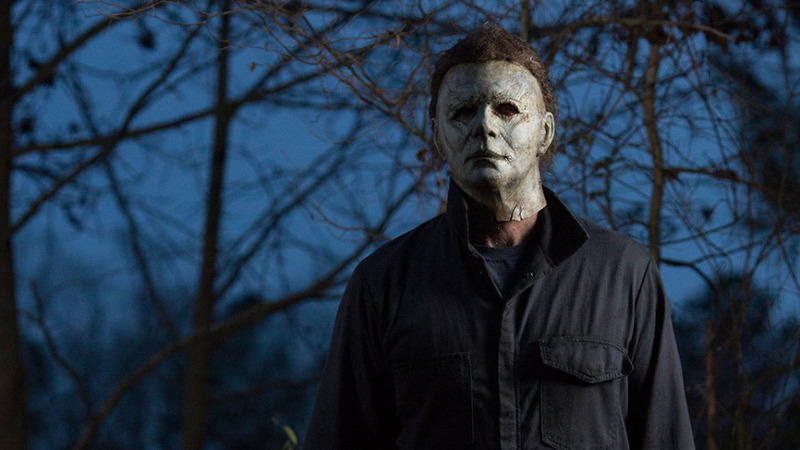 Its 2015 Predecessor opened with $23.6 million. Star-studded BAD TIMES AT THE EL ROYALE opens in sixth with $7.9 million from 2,808 theatres for 20th Century Fox. It gets a B- CinemaScore and a 71% on the Tomatometer. THE HATE U GIVE, also an Oscar Contender, debuts in ninth with $1.5 million from just 248 theatres in its second week of limited release for 20th Century Fox. 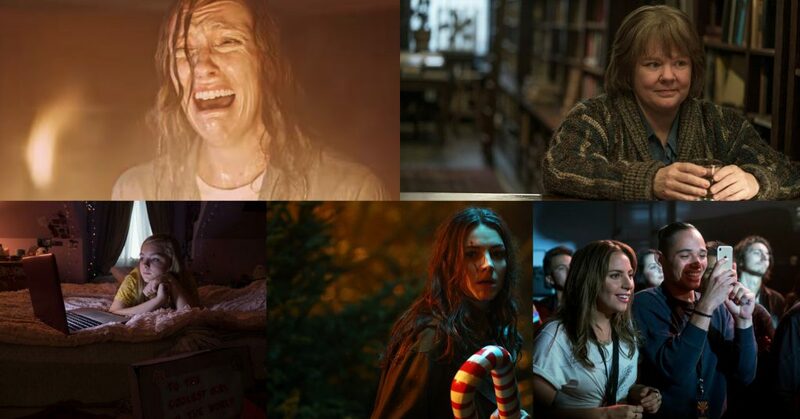 Rounding-out the Top Ten is A SIMPLE FAVOR with $1.3 million for Lionsgate Films/eOne Films, a total $52 million over five weeks. After making huge splashes in Venice and Telluride, Oscar-winning Director Damien Chazelle’s First Man landed in Toronto earlier this week. 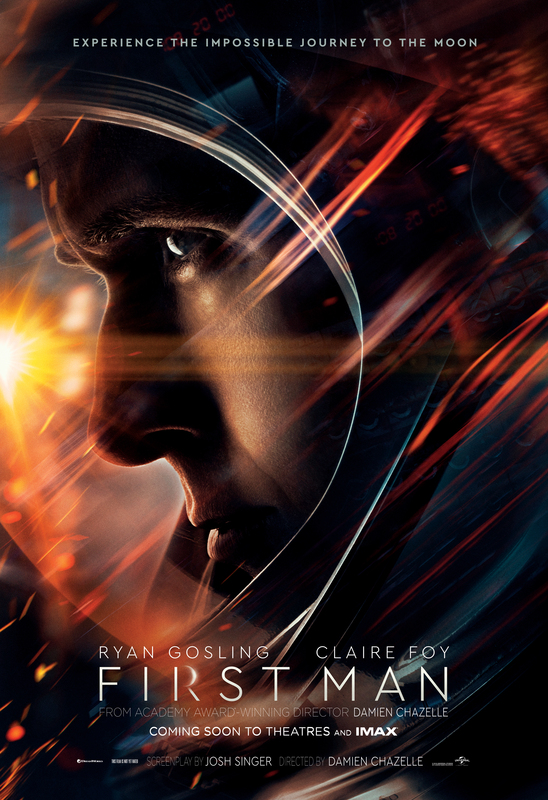 The Film chronicles the true story of Neil Armstrong (Ryan Gosling) and his journey towards becoming the first man to walk on the moon. Visually, First Man is breathtaking. The attention to detail is immense, and the way the camera claustrophobically captures action inside multiple spacecrafts is truly wondrous. The Third Act scenes shot with IMAX cameras are practically jaw-dropping. The sound design is even better, with each scene sounding absolutely exquisite whether it’s a quiet scene of exposition or all hell breaking loose on a rocket soaring through space. Gosling is great as always – doing his very best playing a man of few words – and the Supporting Cast all deliver great work (although it seems like Claire Foy and Olivia Hamilton get continually shafted in favour of their male counterparts). Beyond running a hair too long, my only major quibble with the Film is Chazelle’s overuse of shaky-cam. It makes sense in action scenes where we are being thrust into the experience, but it just becomes distracting for the likes of a family argument in a kitchen. 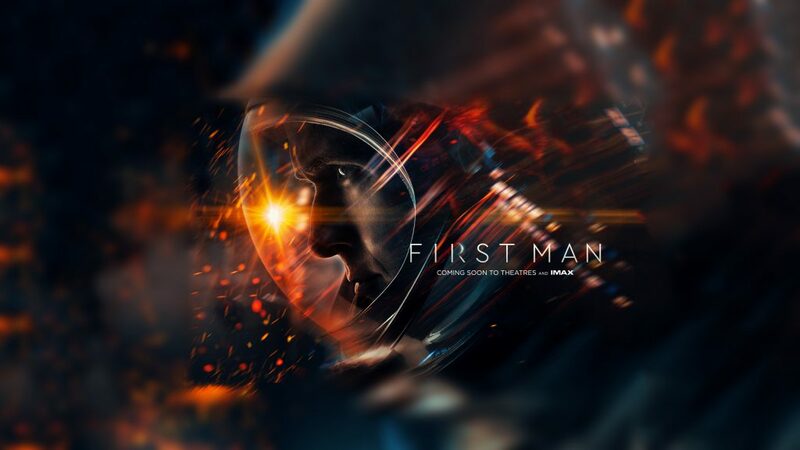 First Man screens on Sunday, September 9 at 2:00PM at Ontario Place Cinesphere, Monday, September 10 at 4:00PM, Elgin Theatre and 6:00PM at Roy Thomson Hall, Tuesday, September 11 at 11:00AM at Princess of Wales Theatre, Saturday, September 15 at 9:30PM at Princess of Wales Theatre and each day from Wednesday, September 12 to Sunday, September 16 at 6:00PM at Scotiabank Theatre. 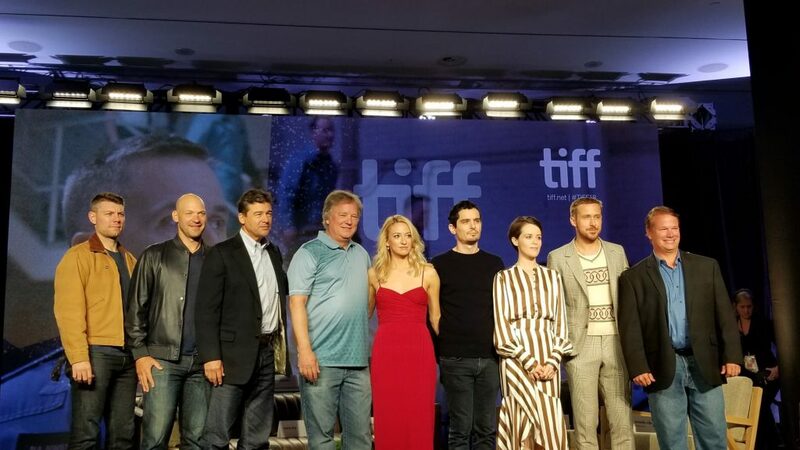 TIFF ’18 officially has reached its cooling point, but that doesn’t mean that Day Six wasn’t filled to the brim with starpower! Ryan Gosling was out and about promoting FIRST MAN with his Castmates and Director Damien Chazelle, while Nicole Kidman continued to do the rounds for her latest, BOY ERASED. While TIFF ’18 heavyweight Lucas Hedges couldn’t make it to Toronto to promote his three Films at the Festival, it was a pleasant surprise that Singer/Songwriter/YouTuber Troye Sivan could make it for the Film in which he stars. Also, you might want to know about Sundance breakout hit ASSASSINATION NATION which premiered to much fanfare at Ryerson Theatre for Midnight Madness, as we expect this one to catch on in this post-#MeToo climate. BOY ERASED – Nicole Kidman, Troye Sivan x Joel Edgerton, an Australian triple! Expect things to start slowing down in terms of star-spotting, but we look forward to focusing on the Films of the Festival!